Somewhere in the descending fog of cultural adaptation, language learning, 4-inch slugs, flying termites and SO much more, we’ve whizzed passed a milestone of 3 months being in country! Wait, how did that happen!? I know, I know, one day at a time, right? Well, after 3 months, we finally feel settled in our new home and are now accustomed to our daily schedule of preparation for full-time ministry. Thank you for your prayers! It’s been a relief to find stability and consistency each week in the things we’re doing. We are continuing to adjust daily to the Kenyan way of life, which is at a more relaxed and calmer pace than the typical American one. For those of us who are goal-oriented, this has proven to be a bit of a challenge, but a welcome one. We’ve also seen why things need to be more “flexible” schedule-wise here as issues consistently come up with family affairs, transportation, police affairs, public demonstrations and so on that all greatly affect schedules. This has given us multiple opportunities over the past 3 months to love and serve those in our lives affected by these variables and provide a safe, secure and godly place for them to come to when needed. These opportunities have been especially significant to me (P) because of something the Lord began speaking to my heart over a year ago about His purpose for our family in ministry. One of the things that He impressed on me was that of a lighthouse- being a source of stability and guidance, a safe haven to those in the midst of the storm. It has been tremendously encouraging and affirming to see how already our family has been established here at such a time as this to serve that very purpose. 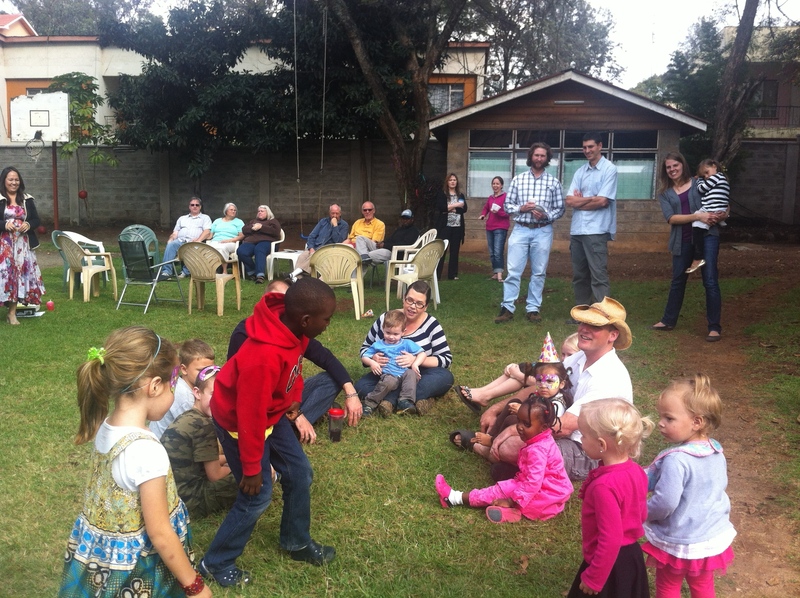 We happily celebrated Little E’s 3rd birthday here on the compound this past weekend and invited our Kenyan friends to join us. It was wonderful to see the fullness of the community God has given, jointly celebrating our youngest daughter! She has been beaming for days and keeps saying how much fun she had at her party. Check out our Facebook page to see the photo album. Big E recently shadowed her new school for a day and absolutely loved it! She will begin in August but had the opportunity to get to know her teacher more and see what it will be like to be a big Kindergartener! When we picked her up, her teacher said she was sassy (in a good way) and had NO problem interacting with the other students and making friends. She is now counting down the days to when she’ll get to go to school for “real”. As for Clinton and I, we have definitely faced one of the biggest challenges of our life establishing our family here. But we have seen day in and day out our God shine brighter before us and within us than ever before. We have felt His presence in our hearts and lives in a new and fresh way, and have a much deeper sense of what it means to follow the Shepherd into the unknown of His perfect will. I recently posted a blog about my personal experience here over the past 3 months, click here if you’d like to read it. We have gotten settled in our home church at K3C and have started attending a T-Group (Tandaza group) on Wednesday nights, which we love! The Lord is also opening doors for us to get more involved at K3C and begin serving. Clinton and I are excited to pass this 3 month milestone! 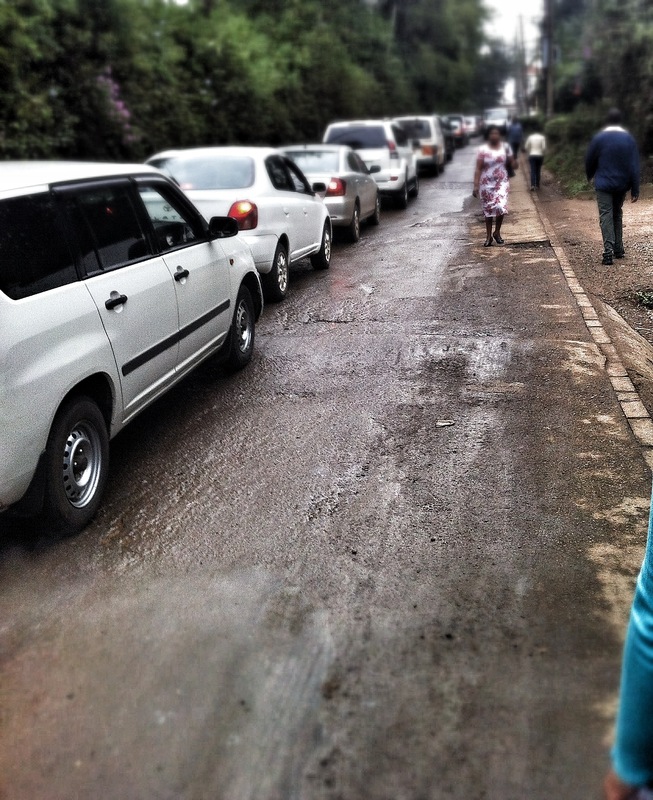 This signifies the half way point through our first (mini) season in Kenya. Our next big milestone will be the 6 month mark in August when Big E will begin Kindergarten and we will officially begin our ministry. As this time of preparation begins to wane and this big transition draws near, we are pressing in deeper to the heart of our Savior, listening closely to His voice as He continues to prepare our family for what is next on the horizon. Upcoming Plans: We as a family are planning on heading out to Western Kenya with Colin and Fey soon for a week to shadow a CellKenya training and to do a “trial run”, as it were. We are keenly excited for this adventure and opportunity to witness firsthand the incredible ministry we are now a part of! Please keep us in your continual prayers throughout the coming weeks and stay tuned for updates! 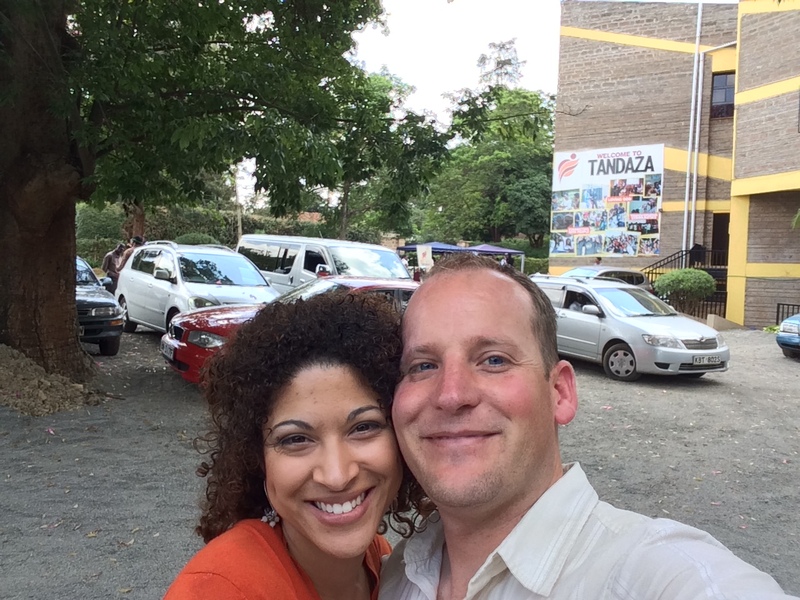 Tomorrow marks the 3rd month of living in Kenya for my husband, my two little girls and myself. Wow, a quarter of a year already. I must admit walking through the experience has been quite different than I had for so long envisioned, which of course, was to be expected. Very little is ever as it seems it will be. That being said though, I have been surprised to see how I in the end, reacted to all of the changes, challenges and chances presented. Even though I knew it was going to be one of the hardest things I’ve ever endeavored to do, I still envisioned myself powering through it, a pillar of strength, ability and grace for my family and those supporting us. Instead, I more often than not felt bowled over by emotions of loss, grief, deep-seeded insecurity, vulnerability, crippling self-doubt and anxiety. Not exactly a pillar. Yet feathered in between all of these varied emotions, I discovered a tenacity to my personality that I never knew existed. As I daily dug my heels into the African soil I was now standing on, with each hand holding one smaller and more vulnerable than itself, I pressed through the labyrinth of my soul and to my surprise stumbled across traces of strength, depth, love, openness, optimism, and unfettered joy. Elements that I had long forgotten existed that were appearing as seeds of hope. As I began to take heed to these perceived seedlings in my spirit, something within me suspected that they might not in actuality be seedlings but roots instead. As the days went by and I struggled with emotion after emotion, I continued to meditate on this with the Lord and felt Him ushering me to a revelation: The winds of change will always shake the leaves from the trees, but what remains unshaken are the roots of the tree that those leaves perpetually grow out of. If the tree focused only on the leaves being blown from its branches, would that serve anyone? No. Rather it remains steady in itself and allows the storms to come and go. Likewise, if you focus more on what holds you steady and strong within rather than what shakes the surface, you will remain standing tall. This might be an elemental lesson for many but when you’re the tree at the center of the storm, sometimes you have to re-learn these lessons from a different vantage point for them to really sink in. Remembering who you are at the center and Who is at that center means the difference between surviving and thriving in times of change; is the north star that enables us to navigate successfully the challenges surrounding us; and is the vision needed to not only identify but make the most of the chances presented to us in the midst of the storm.